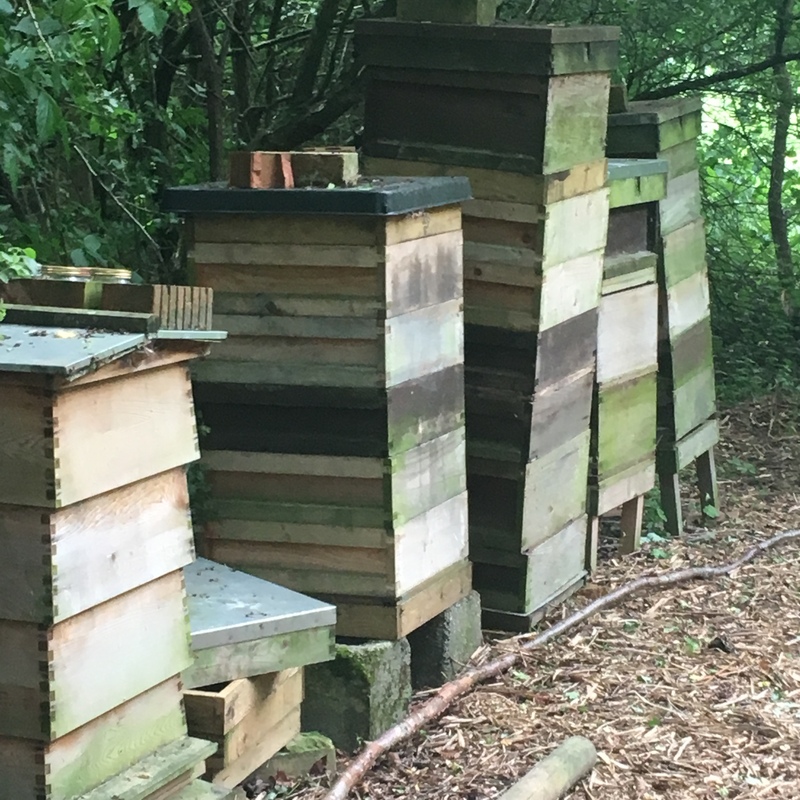 Last month I was invited to attend the Weleda Insight Day at the Weleda headquarters which, I never knew, was just down the motorway from me in Ilkeston. 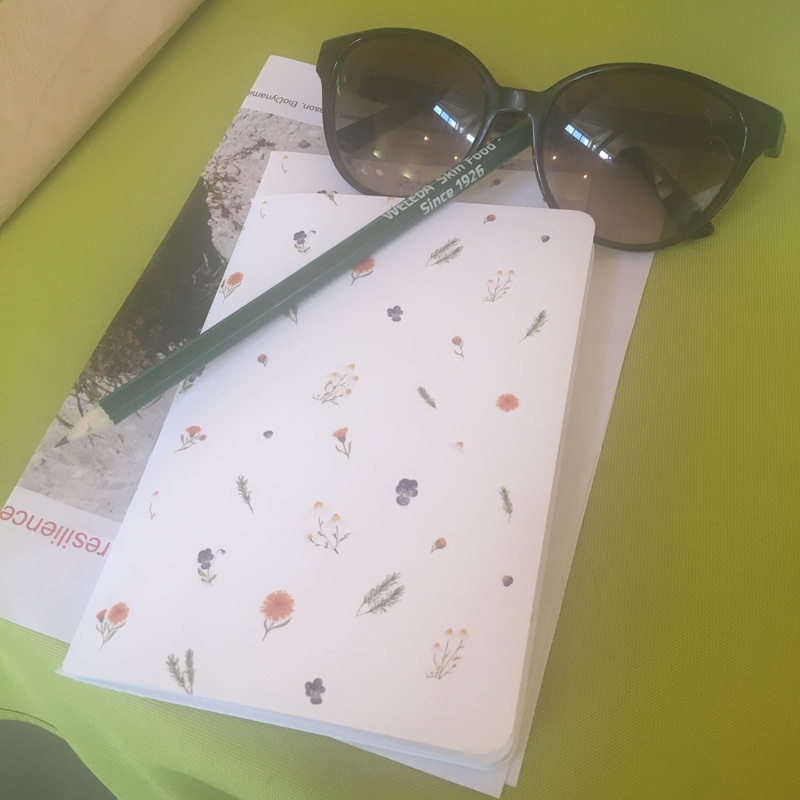 There was an audience of bloggers, Weleda therapists and other professionals and we were welcomed with a quick talk about the brand and their ethos. 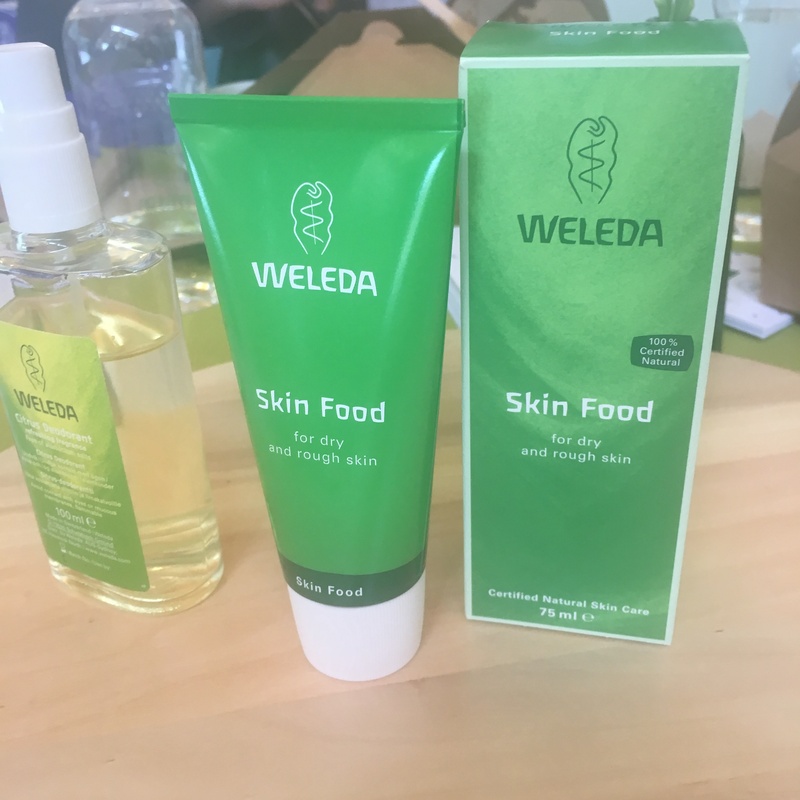 Weleda is a natural skincare brand (I reviewed their One Step Cleanser and Toner back in April) and their hero product, Skin Food, has become something of a cult phenomenon in the beauty industry with celebs like Victoria Beckham swearing by it. They also supply the skincare for London Fashion Week. We were here to mainly celebrate the 90th anniversary of Skin Food in the UK. After the welcome talk and drinks (although sadly, no prosecco was on offer!) 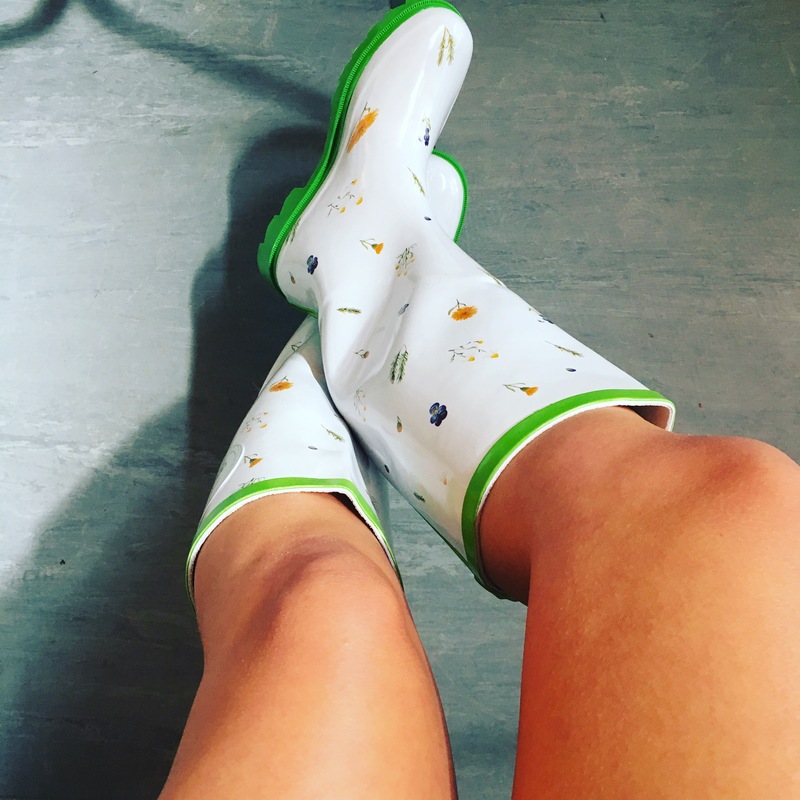 we were all provided with Weleda branded wellies to wear and drinks bottles (perfect for the gym!) and then we jumped into the minibus to make our way to the gardens. All of the ingredients used in Weleda products are grown in their gardens, whether that’s the ones here in Derbyshire or their other locations all over the world. They have gardens pretty much everywhere from New Zealand to France. Where they’re grown abroad, Weleda ensure that fair trade farming projects are used to help local communities. The company pay a fair price for the labour and ingredients. 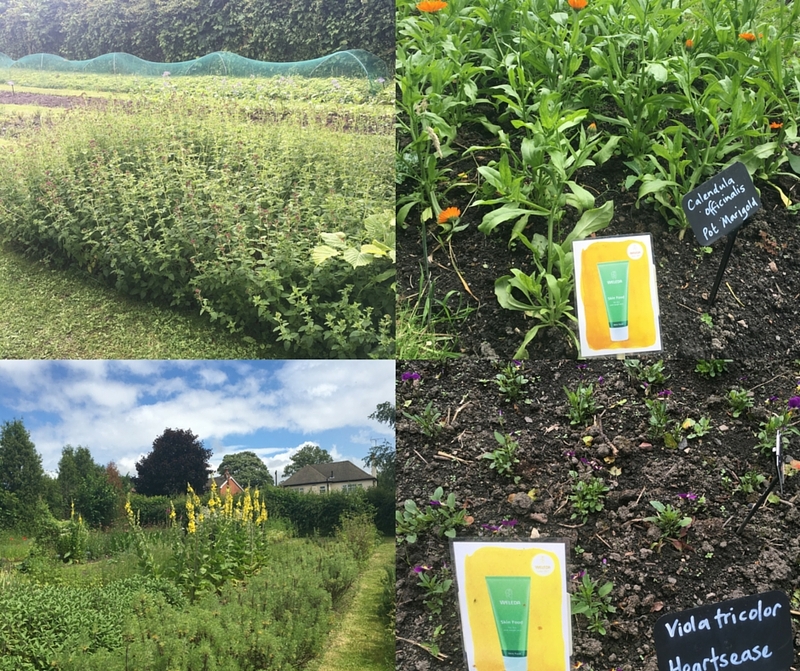 Three hundred species of plants are grown in the gardens in Ilkeston. Once we had finished in the gardens we arrived back at the garden room for a lovely lunch of quiche and salad and two big pieces of cake (ok, so the diet kind of went out the window here!). We were then taught how to give each other hand and arm massages which proved to be a real ice breaker for Salt n Chic and I and then there was a demonstration of calendula tincture, a key ingredient of Skin Food, being made. Of course, going to events isn’t all about the goodie bag, but this one was a particularly good one. We were treated to Skin Food, which I had been dying to try out since hearing so much about it all day, plus a shower gel, shampoo, toothpaste and other skincare bits and bobs. All the products smell amazing and are packed full of natural goodness.